The age spot crème F/X color is designed to be used when creating an older character. With it's high pigment content and creamy texture it will bend easily and not smudge even under the harsh lights of the stage. Apply with a stipple sponge for the best results. 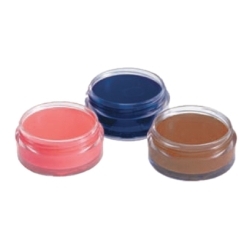 Available in a .3 oz container that will give you 15 – 50 applications.